This Mother’s Day, give mom a sweet treat that is every bit as delightful to look at as it is to eat. 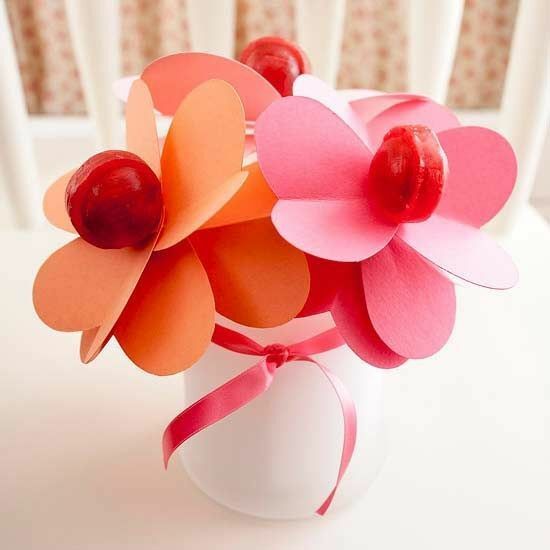 You can create flowers out of construction paper and lollipops. The edible part of the lollipop will serve as the center of the flower while the stick will be the stem.